Doug Miles hosts this special “New Year’s Eve Big Band Party” as aired originally on WTMY radio. (Tampa, FL) Most Valuable Player Keion Davis rushed for a game-high 94 yards and a pair of touchdowns to lead the Marshall Thundering Herd (9-4, 6-2 C-USA) to a 38-20 victory over the USF Bulls (7-6, 3-4 AAC) in the 11th annual Bad Boy Mowers Gasparilla Bowl at Raymond James Stadium before an announced crowd of 14,135. USF completes a disappointing season with 6 straight losses after going 7-0. Davis did almost all of his damage in the second half, picking up 82 of his 94 yards on just nine carries. His 16-yard touchdown run with 6:24 left in the fourth quarter gave the Herd its final 18-point margin and secured Marshall’s record third win in three Bad Boy Mowers Gasparilla Bowl appearances. Marshall also won in 2011 (20-10 over FIU) and in 2015 (16-10 over UConn). Marshall never trailed, jumping out to a 14-0 lead less than 11 minutes into the game on the strength of short scoring runs by quarterback Isaiah Green and running back Anthony Anderson. Green’s score capped a seven-play, 81-yard drive and Anderson’s plunge followed a fumble recovery and return of 29 yards to the USF 1-yard line by Marshall’s Darius Hodge. USF cut the lead in half at the 2:43 mark of the second quarter thanks to a 38-yard scoring pass from slotback/wildcat Tyre McCants who found Randall St. Felix open in the end zone. The Bulls were unable to get any closer in the game as Marshall extended its lead to 28-7 late in the second quarter and carried a 28-10 lead into halftime. St. Felix highlighted the USF offensive effort collecting a Bad Boy Mowers Gasparilla Bowl-record 165 receiving yards on just six catches. St. Felix added his second touchdown reception of the night on a 33-yard connection with quarterback Blake Barnett late in the third quarter which narrowed Marshall’s lead to 31-20. Marshall’s balanced offensive attack finished with 503 total yards — 282 rushing and 221 passing. The Herd’s defense limited USF to 360 total yards and just 92 on the ground. Marshall did not allow an opposing rusher to reach 100 yards in any game during the 2018 season and the streak now has reached 14 games. (Bradenton, FL) The Pittsburgh Pirates will hold National Anthem auditions on Saturday, January 12 from 10:00 a.m.-11:30 a.m. at LECOM Park. Auditions are open to anyone interested in singing The Star Spangled Banner prior to a Pirates Spring Training game in 2019. Prospective singers must feel comfortable performing in front of audiences of 7,000 people or more. Auditions will be conducted a cappella and must be no longer than two minutes in length. There is no pre-registration for auditions. Prospective singers will perform in the order they sign up on the day of auditions. Registration will close at 11:30 a.m.. National Anthem auditions will be conducted for vocalists only. Pirates employees will supervise the auditions and determine which performers to invite to fill open spots in the Spring Training schedule. Contestants that wish to sing the Canadian National Anthem before the Pirates game against Toronto on February 27 or March 8 are welcome to audition singing O Canada as well. Participants that audition but are not selected to perform will have their information kept on file for potential anthem openings during the Bradenton Marauders season. The Marauders are preparing for the 10th season in franchise history, which runs from April 6 until Labor Day. The Pirates will play a 15-game home schedule at LECOM Park this spring, beginning with a matchup against the Miami Marlins on Sunday, February 24. For more information about Pittsburgh Pirates Spring Training or National Anthem auditions, please call 941-747-3031, visit www.bradentonmarauders.com or email MaraudersInfo@Pirates.com. (Tampa, FL) The University of South Florida football program welcomed 19 new student-athletes during the first day of the NCAA Early Signing Period, which began Wednesday and ends Friday. Head Coach Charlie Strong and the Bulls were preparing for USF’s fourth straight bowl appearance as the early signing period began. USF takes on Marshall Thursday in the Bad Boy Mowers Gasparilla Bowl, set for an 8 p.m. kickoff at Raymond James Stadium before a national TV audience on ESPN. On Wednesday, the first of three days in the early signing period, USF received National Letters of Intent from 19 student-athletes that will don the green and gold. Fifteen of the new Bulls hail from the state of Florida, while three are from Georgia and one is from Virginia. On the defensive side of the ball, the Bulls added 10 players, including a pair of junior college players. Four of the signees play in the secondary, including junior college cornerback McArthur Burnett (Pahokee/Coffeyville CC), who began his career at Florida playing is six games as a redshirt freshman in 2017. He is joined by cornerbacks Jayden Curry (Virginia Beach, Va./IMG Academy) and Daquan Evans (Orlando/Jones HS) and safety Leonard Parker (Tampa/Plant HS). The Bulls added three players along the defensive line, including junior college defensive end Tyrik Jones (Plantation/Arizona Western CC). He is joined by defensive ends Thomas Nance (Eagle Lake/Lake Region HS) and Jason Vaughn (Auburndale/Advance Prep). The Bulls also added three linebackers in Demaurez Bellamy (Deland/Deland HS), Tae’Aviion Gray (Quitman, Ga./Brook County HS) and Darius Williams (Miami/Norland HS), who tallied 58 tackles, 10 tackles for loss and six sacks in his senior season. On the offensive side of the ball, the Bulls added nine players, including quarterback Jahquez Evans (Atlanta/Mays HS), a Georgia 6A All-State first team selection who threw for 928 yards and 10 touchdowns and ran for 365 yards and four touchdowns in six games in his senior year. The Bulls added four offensive linemen in Joshua Blanchard (Miami/Norland HS), Raymond Collins (Largo/Largo HS), Dustyn Hall (Punta Gorda/Charlotte HS) and Matthew McDuffie (Glen Saint Mary/Baker County HS). USF also added a running back in Josh Berry (Davenport/Ridge Community HS) and three wide receivers, including 6-4 Logan Berryhill (Kingsland, Ga./Camden County HS), 6-1 Xavier Weaver (Orlando/Orland Christian Prep), who posted 110 catches, 2,124 yards and 32 touchdowns on his career, and Groveland, Fla. speedster Kelley Joiner Jr. (South Lake HS), who tallied 4,525 career yards and 55 touchdowns rushing. (Miami, FL) Laquincy Rideau scored 28 points and USF held FIU to 23 points under its season average en route to an 82-73 victory Tuesday evening at the Ocean Bank Convocation Center. FIU (8-3) entered play ranked second in the NCAA in scoring with an average of 96.6 points per game and had scored at least 80 points in all but one of its 10 games this season. Panther senior guard Brian Beard began the night averaging a team-high 22.6 points per game, but USF limited him to four points on 0-for-8 shooting from the field. Rideau hit a career-high four three-pointers and added seven rebounds, nine assists and five steals to help USF secure its fourth straight win, marking the first time since the 2013-14 season the Bulls have won four consecutive games. David Collins added 16 points and Alexis Yetna finished one point shy of a double-double with 13 rebounds and nine points. Sophomore Justin Brown chipped in with 13 points and made three 3-pointers after making his first start of the season. USF connected for a season-high 10 triples and finished 71.4 percent (10-for-14) from beyond the arc to record the second-highest single game three-point percentage in school history. USF (8-2) raced to an 11-point lead midway through the first half before FIU used an 8-0 run to pull within three points. Rideau scored seven of the next nine point for USF to push the lead up to eight. Three-pointers from Rideau and Brown over the final two minutes gave USF a 14-point lead at halftime. Brown gave USF its largest lead of the game with a three-pointer in the corner to up the advantage to 23 points six minutes into the second half. FIU answered with a 22-6 run to crawl within seven points with just under nine minutes remaining. The Bulls would use free throws over the final eight minutes to hold off FIU on their way to opening the season with eight wins over the first 10 games for the first time since the 2013-14 season. USF returns to action Friday at 7 p.m. when the Bulls host Alcorn State on ESPN3 from the Yuengling Center. Doug Miles hosts the Big Band Files Christmas Show featuring Christmas songs from Andy Williams, Mel Torme and more. Special Guest: Lois Travalena, wife of entertainer Fred Travalena talking about his career and his Christmas music. Originally aired WTMY radio. 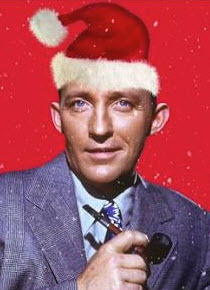 Doug Miles hosts a special Christmas show featuring music from Bing Crosby and friends as aired WTMY radio. (Baltimore, MD) The Baltimore Orioles today announced that Brandon Hyde has been named the 20th manager in club history. This will mark Hyde’s first Major League managerial assignment. The Orioles will introduce Hyde during a press conference on Monday, December 17, at Oriole Park. Hyde, 45, begins his first Major League managerial role following 16 professional seasons in the coaching ranks and four professional seasons as a player. Hyde most recently served as the Chicago Cubs bench coach in 2018, his second season in this role (also in 2014). He also spent three seasons as the Cubs first base coach from 2015-17, and previously served as Chicago’s director of player development from August 2012 through the 2013 season, after joining the Cubs in December of 2011 as their minor league field coordinator. The Cubs qualified for the postseason four times during his tenure, including winning the franchise’s first World Series title in 108 years during the 2016 season. Prior to joining the Cubs, Hyde spent nine seasons in the Miami Marlins organization. He served as the Marlins bench coach from June of 2010 through the end of the 2011 season, and served as Miami’s interim manager on June 19, 2011 against Tampa Bay, following the resignation of manager Edwin Rodriguez. Hyde began the 2010 season as the Marlins minor league infield coordinator, his first year in that role. The previous five seasons, from 2005-09, he managed across three different levels of the Marlins minor league system. He was Double-A Jacksonville’s manager during the 2009 campaign, leading the Suns to the Southern League Championship. Following the season, he also managed the Mesa Solar Sox in the Arizona Fall League. In 2008, Hyde was the manager at Class-A Advanced Jupiter, and in 2007 he served as the manager at Double-A Carolina. He managed Class-A Greensboro from 2005-06, the team that he received his professional coaching start with in 2003, serving as Greensboro’s hitting coach for the second half of the 2003 season and all of 2004 before being promoted to manager. The Santa Rosa, Calif. native signed with the Chicago White Sox organization in 1997 as an undrafted free agent out of Long Beach State University (CA). He spent four seasons in the White Sox minor league system, as a catcher and first baseman, reaching the Triple-A level in 2000. In 2001, he played 17 games for the Chico Heat of the Independent Western League. 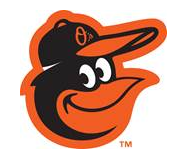 Sarasota, FL is the spring training home for the Baltimore Orioles.